This year, there is concern that vaccination will be less effective than usual at preventing the spread of the flu. 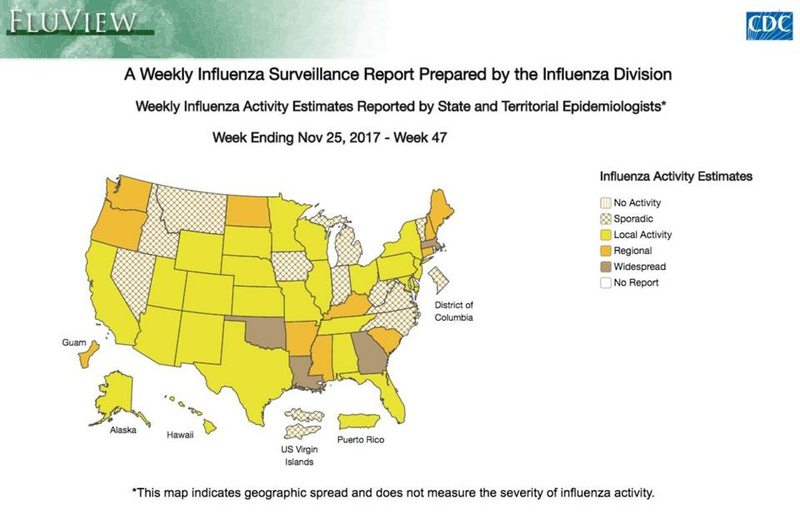 Flu season has arrived early this year and appears on course to peak right around the holidays. What’s more, the dominant strain circulating now is known to cause more severe symptoms than other types, and there is concern that vaccination will be less effective than usual at preventing its spread. 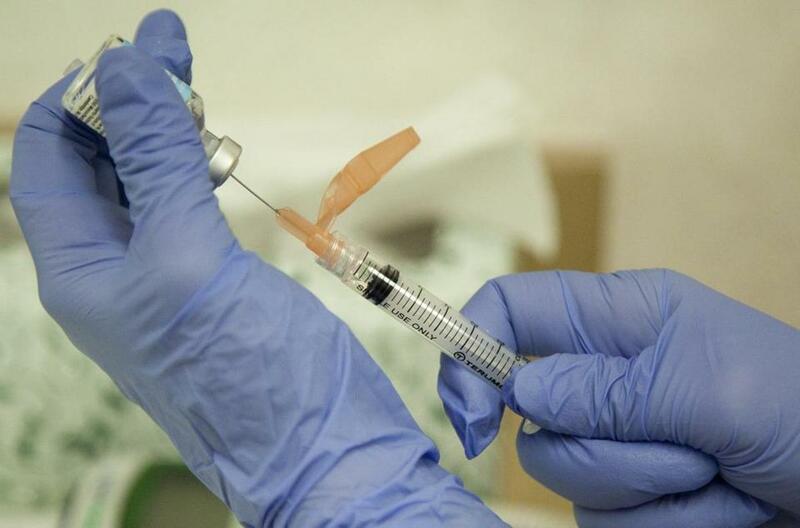 Still, public health officials are urging people to get a flu shot as soon as possible. They say it’s the best chance at avoiding getting sick. Even for those who catch the virus, getting vaccinated can help minimize the severity of symptoms. “So people don’t have their holidays ruined, one of the things they can do now is make sure they have their flu shots,” said Dr. Al DeMaria, medical director of the state’s infectious disease bureau. DeMaria said the last time the peak of flu season collided with the late-December holiday season was in 2003. So why the concern that this year’s vaccines might be less effective? The vaccine being used in the United States now is the same as the one that was just used and performed poorly in another part of the world. In Australia, which typically has its flu season end just before ours starts, the vaccine this year was, based on preliminary estimates, only around 10 percent effective in preventing against the same flu strain that’s dominant so far in the United States. “It’s an indication that we may have that issue,” DeMaria said. But, he and other specialists said, we won’t know for sure until later in the season once researchers have enough data to calculate how effective vaccination was in the United States. Each flu season is unique in terms of timing and severity, but cases of influenza don’t usually peak until January, February, or even as late as March. 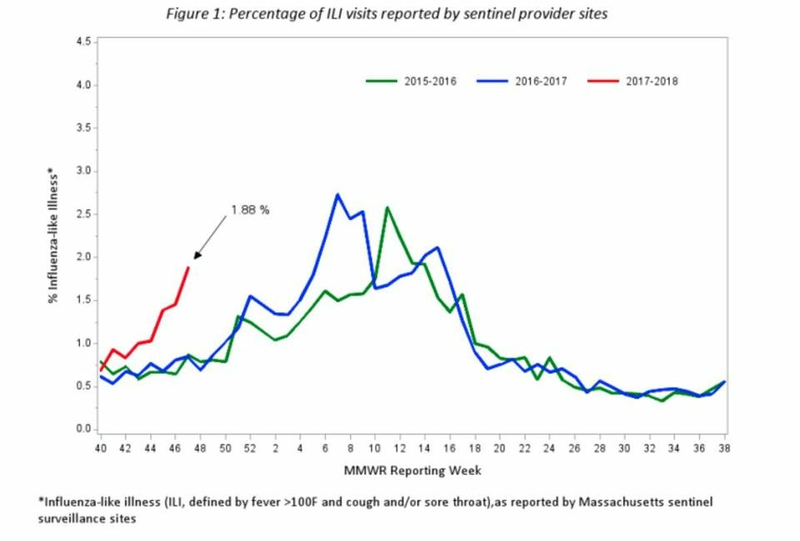 However, Dr. Jenifer Jaeger, interim medical director of the Boston Public Health Commission, said the city has not seen above-normal flu activity so far. The most common symptoms of flu are a fever accompanied by a cough or sore throat. Other symptoms include body aches, headache, chills, runny nose, and fatigue. Some people, especially young children, might also have diarrhea and vomiting, officials said. Symptoms can last from a few days to up to a week or more. The virus spreads through droplets of saliva and mucus that exit the nose and mouth of an infected person when they cough or sneeze, officials said. People can catch the virus if they are simply breathing close to an infected person when that happens. The virus can also survive for a short time on everyday objects, such as doorknobs, phones, and toys. Someone can catch the virus if they touch such objects and then touch their mouth, nose, or eyes, officials said.